In a new study, Bettina Schultz Paulsson, an archaeologist at the University of Gothenburg in Sweden, combed through available studies to find radiocarbon data — a method used to reveal the ages of rocks and other structures; for 2,410 sites across Europe. “Everyone told me, ‘You’re crazy, it can’t be done,’” Paulsson told Science. “But I decided to do it anyway,” she continued. “Radiocarbon dating is a two-stage process involving isotope measurements and the calibration against similar measurements made on dendrochronologically dated wood. For our time horizon, it normally provides precision ranges of 100 y to 300 y with 95% probability,” Paulsson stated in the Proceedings of the National Academy of Sciences of the United States of America (PNAS) paper. “Northwest France is, so far, the only megalithic region in Europe which exhibits a pre-megalithic monumental sequence and transitional structures to the megaliths, suggesting northern France as the region of origin for the megalithic phenomenon,” the study goes to explain the significance of their findings. Bettina would tell Science that the complex earthen tombs that date to approximately 5000 BCE are evidence of “evolution of megaliths” in the region. This finding was the basis of the maritime diffusion model which allowed the megaliths to spread along sea routes. 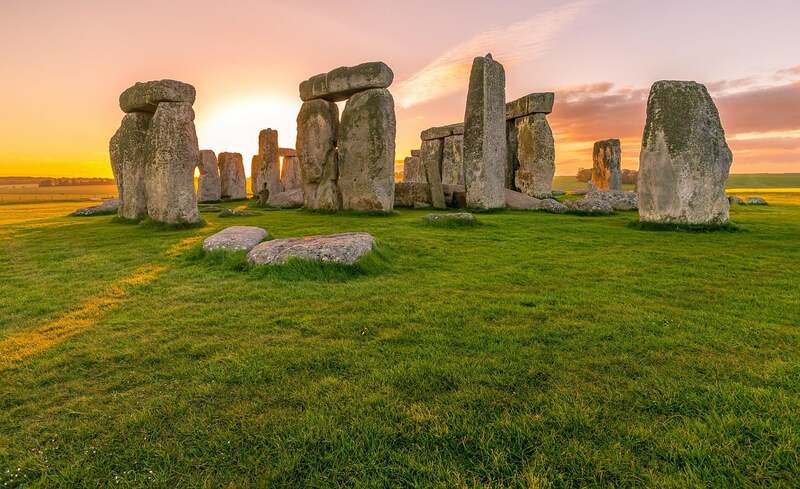 Stonehenge itself is believed to have been constructed around 2400 BCE, which would explain how the massive stones were placed at coastal sites. Another University of Gothenburg archaeologist, Karl-Göran Sjögren told Science he accepts northwest France were among the first builders, but he believes earlier megaliths could be found in the future. In about 2500 BC the stones were set up in the centre [sic] of the monument. Two types of stone are used at Stonehenge – the larger sarsens and the smaller ‘bluestones’. The sarsens were erected in two concentric arrangements – an inner horseshoe and an outer circle – and the bluestones were set up between them in a double arc. Probably at the same time that the stones were being set up in the centre [sic] of the monument, the sarsens close to the entrance were raised, together with the four Station Stones on the periphery. About 200 or 300 years later the central bluestones were rearranged to form a circle and inner oval (which was again later altered to form a horseshoe). The earthwork Avenue was also built at this time, connecting Stonehenge with the river Avon. One of the last prehistoric activities at Stonehenge was the digging around the stone settings of two rings of concentric pits, the so-called Y and Z holes, radiocarbon dated by antlers within them to between 1800 and 1500 BC. They may have been intended for a rearrangement of the stones that was never completed. While the PNAS study does not specifically name Stonehenge, sea travel could explain how such large stones were transported to the construction site. However, the mystery of how the stone was stacked without modern machinery remains an open mystery.